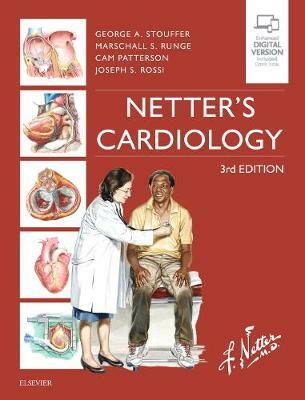 Perfect for residents, generalists, anesthesiologists, emergency department physicians, medical students, nurses, and other healthcare professionals who need a practical, working knowledge of cardiology, Netter's Cardiology, 3rd Edition, provides a concise overview of cardiovascular disease highlighted by unique, memorable Netter illustrations. This superb visual resource showcases the well-known work of Frank H. Netter, MD, and his successor, Carlos Machado, MD, a cardiologist who has created clear, full-color illustrations in the Netter tradition. New features and all-new chapters keep you up to date with the latest information in the field. Key Features Includes 13 all-new chapters: Basic Anatomy and Embryology of the Heart, Stem Cell Therapies for Cardiovascular Disease, Diabetes and Cardiovascular Events, Clinical Presentation of Adults with Congenital Heart Disease, Transcatheter Aortic Valve Replacement, Deep Vein Thrombosis and Pulmonary Embolism, and more.